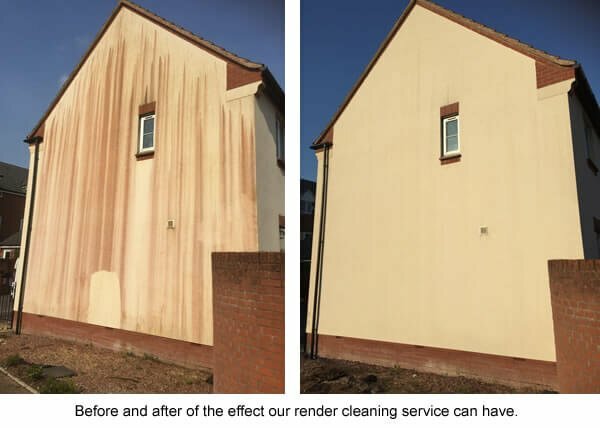 If your render is looking tired, ask Insurend to chemically clean it. 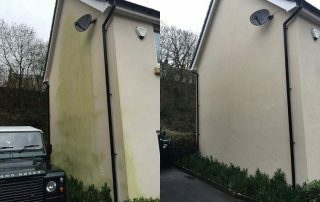 Insurend will chemically clean your render, stonework, fascias and gutters leaving your property looking like new. 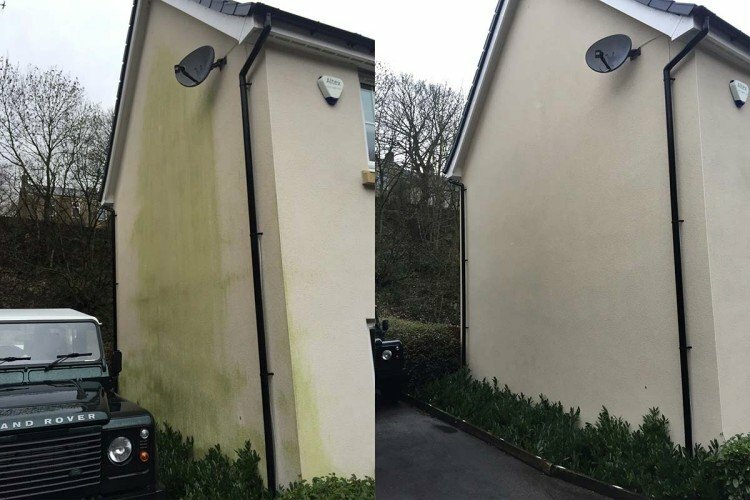 Many properties end up looking tired because of pollution staining or algae or fungal growth. Ask Insurend for a no obligation quote for your render cleaning. 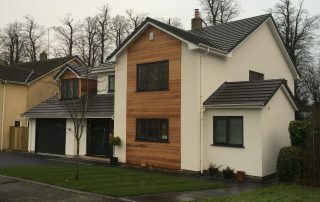 Timber cladding and render in Cheshire and Manchester. 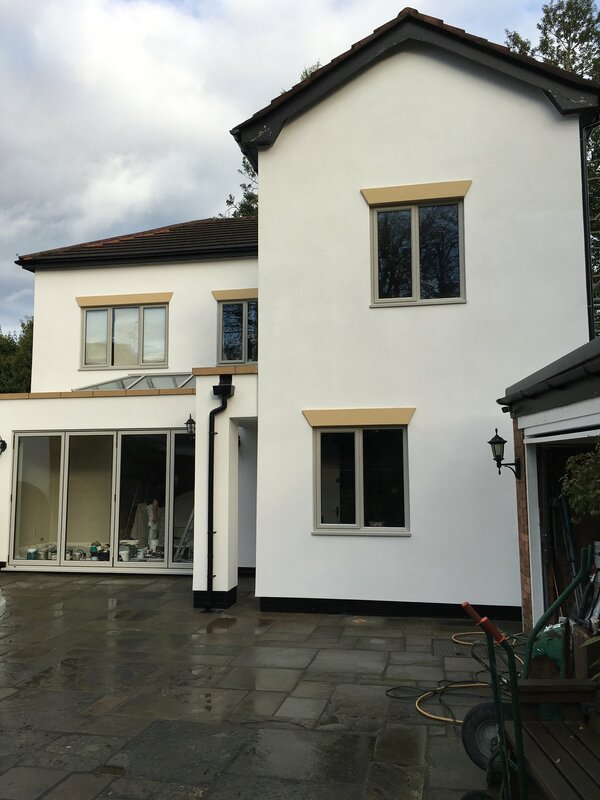 Change the look of your home with a modern through coloured render Silicone renders give any property a sharp look that totally transforms the look of the building. 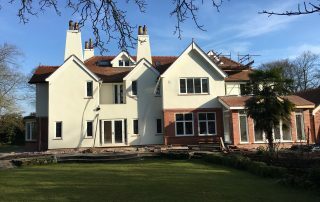 We can over render existing paints and renders using the scrim and pin system. 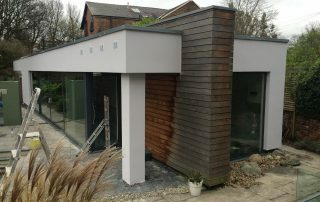 This pool was insulated and rendered using a Wetherby Insulated Render. 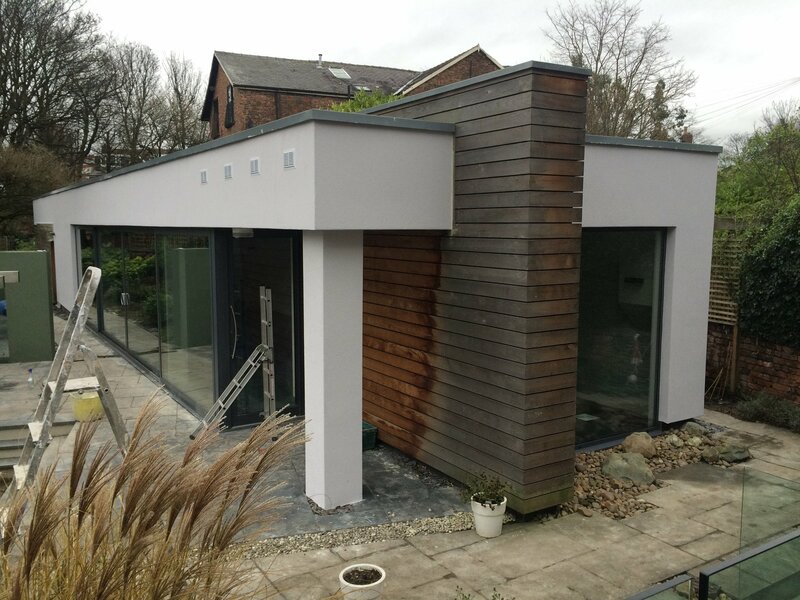 Insulated render on this pool in Chorlton really helps to keep the heat generated by the pool lock inside the building. 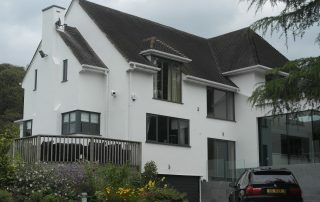 It also give its a modern clean look. 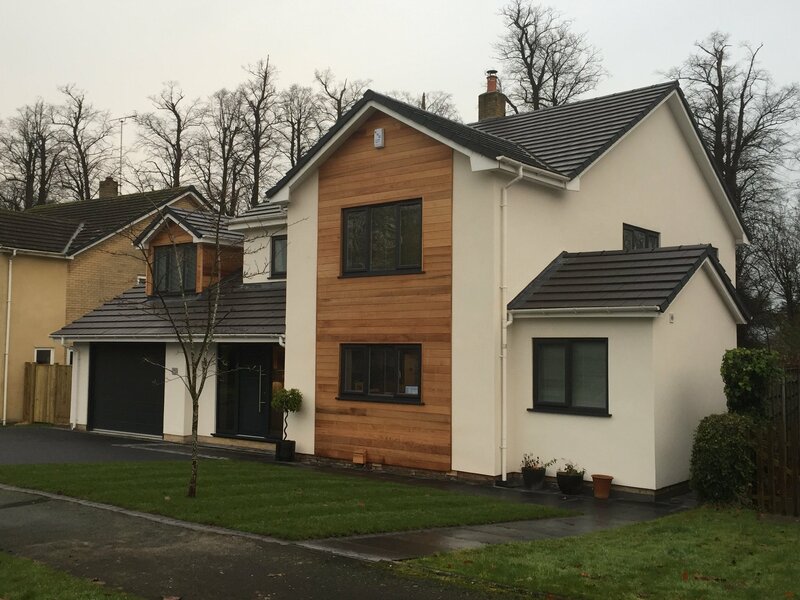 This house in Wilmslow had an extension built on to it and home owner wanted to bring in house and extension into a seamless looking property. 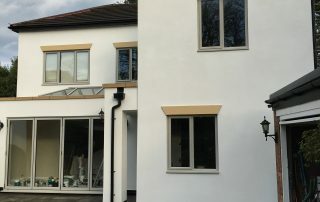 Need a render job completing in Wilmslow, Insurend have completed many in the area and would love to quote for more work. 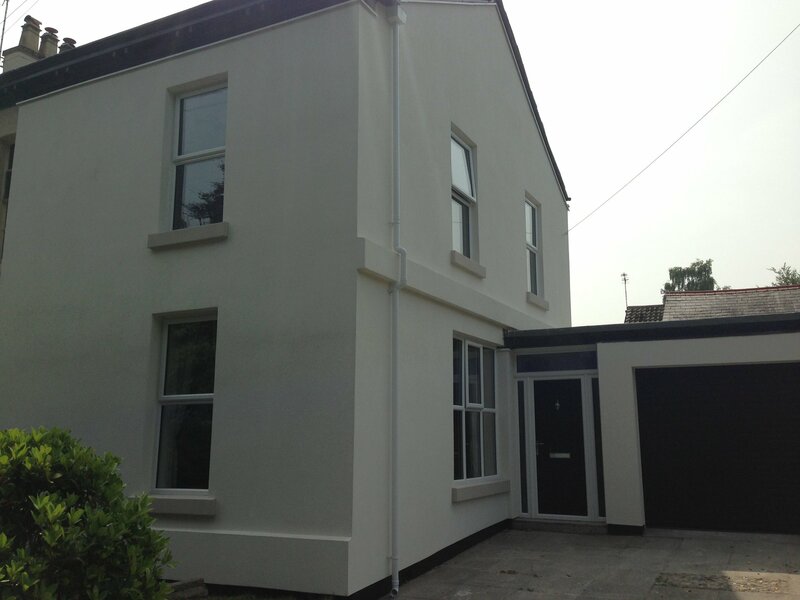 Property insulated and rendered in Lymm using 110 EPS insulation and Wetherby Render. 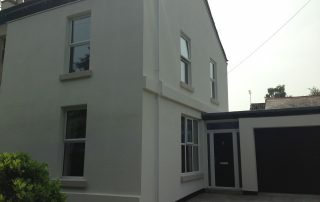 This turn of the century property was thermally upgraded using Eps insulation and silicone render. 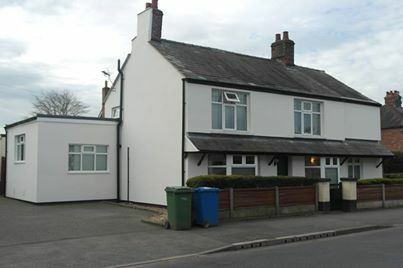 This one we insulated and rendered in Stockton Heath near Warrington. This posed a few problems as he had to box in a horizontal soil pipe on the gable end. 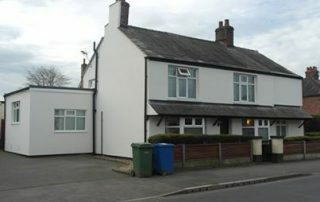 We did this by creating a stud work box and insulating and rendering it, This one is on Walton Road in Stockton Heath. 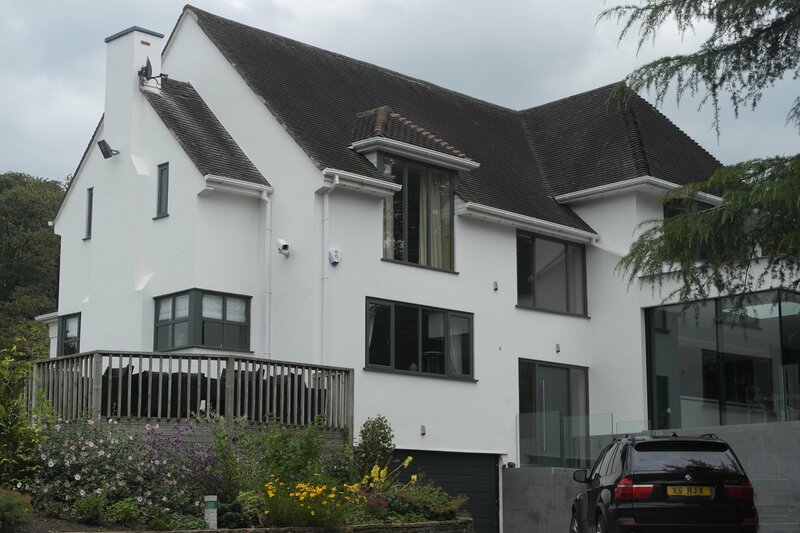 This house was completely renovated and had the old pebble-dash removed and replaced with a modern silicone render. 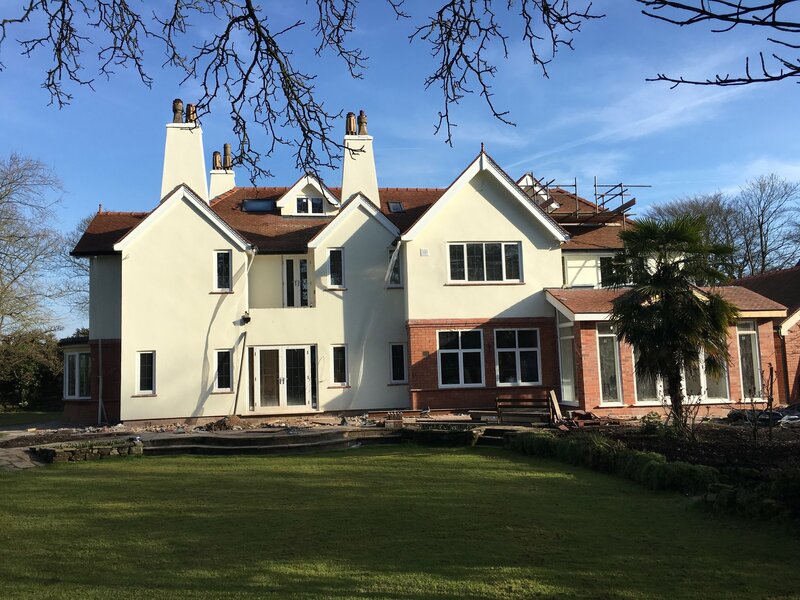 This prestigious property situated in Hale, Cheshire had a Wetherby silicone render applied. 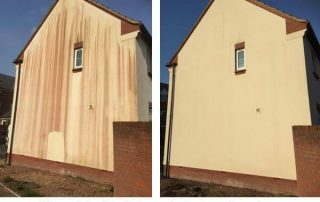 we hacked off existing render and rendered on to the original brick substrate.